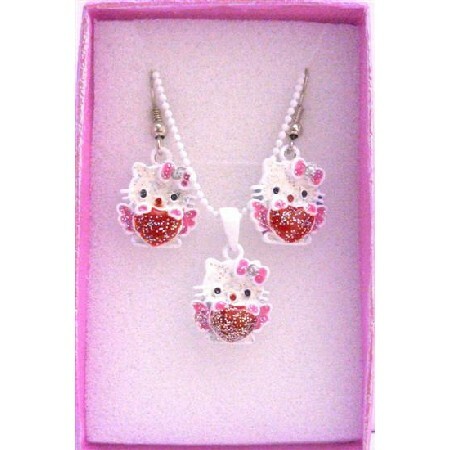 A beautiful Girls Gift Jewelry Set come with Gift box Red White Hello Kitty Pink Bow with Red Glitter in white beaded necklace very rich & sophisticated look when wore. Each is meticuloly made with attention that meets our high standard requirements Add pizzazz to your girls with the latest craze jewelry! These sparkling Crystals are dazzling catching every color & light ray & adding just the right touch to your evening or formal occasion. The uses for this item is endless! It is carefully made & has excellent craftsmanship. all stones are glittery & flawless.